In 1959, the NAHB Research House in Lansing, Michigan became the first home in the world to be built using a CPVC plumbing system. 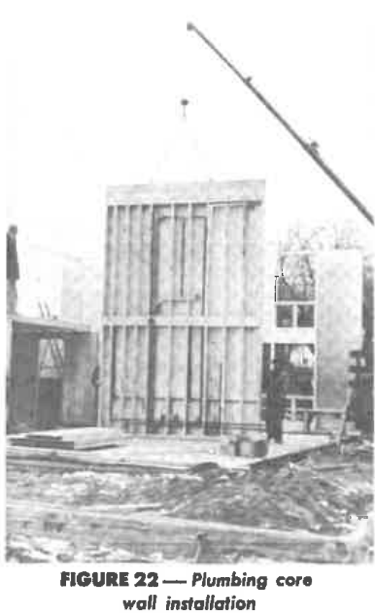 Using materials that would eventually develop into today’s FlowGuard Gold® CPVC plumbing system, the home used a pre-fabricated plumbing core wall, which proved to be an efficient construction method for speed and cost, but presented challenges in transportation logistics. 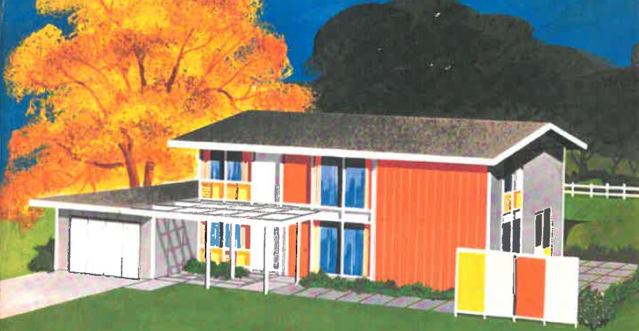 In 1961, the next project began in Berea, Ohio – titled the Time and Methods Analysis Project (TAMAP), in this study two homes were built – one using traditional materials and methods, and another using innovative products and methods, including a CPVC plumbing system. The study found that with the combination of new products and methods, the time to build the house could be reduced by 50%. Then, in 1963, construction began on a research house in Rockville, Maryland. Again, this home used the product which would evolve into FlowGuard Gold CPVC, at the time marketed as “Hi-Temp Geon PVDC.” While this project was a continuation of the prior projects which had proven the superior installation benefits of CPVC plumbing, this project was particularly helpful in proving the long-term benefits of CPVC plumbing in markets with highly aggressive water conditions as the Rockville market had experienced considerable issues with pitting and scaling in metallic plumbing systems due to their local water conditions. 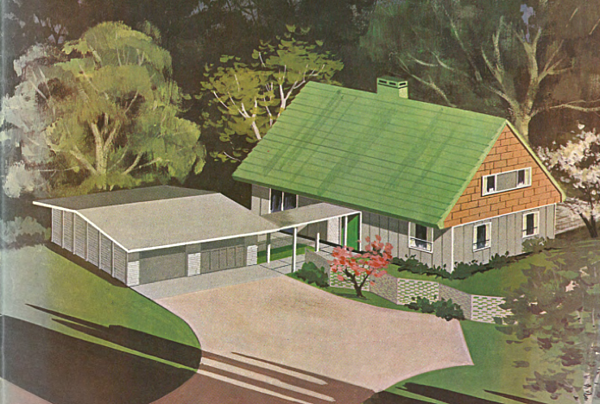 Another key benefit of the 1963 house is that video survives from the original installation. In the early days of CPVC, solvent welding tools and procedures were still being developed, as a result the solvent cements were applied in that case using a standard paint brush – a method which would never be recommended or used today. Over the last five decades, advances in technology have optimized both FlowGuard Gold pipe and fittings and solvent welding practices to maximize speed and cost, while ensuring system performance. FlowGuard Gold CPVC is America’s oldest and most proven non-metallic piping system. Prior to its first installation in 1959, the Lubrizol CPVC pipe and fittings underwent more than 10,000 hours of testing at 190⁰F at 500psi. In the following decades, after rigorous testing, field trials and the development of strict performance standards, CPVC was added in every model plumbing code in America. Today FlowGuard Gold CPVC piping and fittings are made in North America using CPVC compounds produced exclusively at Lubrizol’s Louisville, Kentucky facility. With 60 years of proven history, more than 11 million feet of FlowGuard Gold CPVC have been installed in American homes and businesses. Many of our earliest installations are still in service today. CPVC was originally used 60 years ago to provide builders with a faster, more cost effective plumbing system. After such a long time, some builders and plumbers have come to believe that PEX plumbing systems may have surpassed CPVC when it comes to speed and cost benefits. To help bring closure to the speed and cost debate, Home Innovation Research Labs (the modern day decendant of the NAHB Research Institute) conducted a time study to compare the installation time for FlowGuard Gold CPVC plumbing piping with PEX plumbing systems. The piping systems were installed in two full-scale study homes in Upper Marlboro, Maryland using local plumbing contractors. When each installation was complete, a plumbing contractor supervisor inspected the home to determine whether the installation would pass a local plumbing inspection. If a supervisor identified a deficiency, the installer corrected it and the additional installation time was noted. At the conclusion of the study, the results showed the average installation time for the FlowGuard Gold CPVC piping system using a one-man crew from arrival at the job site until departure averaged 6.75 hours. Installation of the PEX system from arrival until departure using a single-man crew required 7.86 hours. These results demonstrate even after 60 years, FlowGuard Gold CPVC continues to offer significant installation time benefits over its competition in the plumbing piping world. Read the full report on this study here. The ability to stand up to chemical leaching, chlorine disinfection and biofilm contamination have resulted in builders selecting FlowGuard Gold CPVC piping for installation in homes for almost 60 years when other plumbing materials have come and gone. FlowGuard Gold CPVC provided installation, performance and cost-saving advantages in the 1960s and continues to offer similar benefits today.